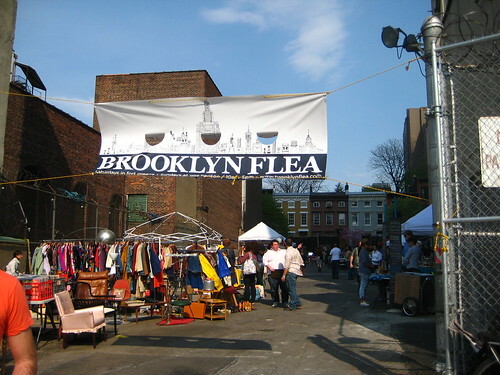 I managed to check out the One Hanson Place Brooklyn Flea for a hot second last Sunday. 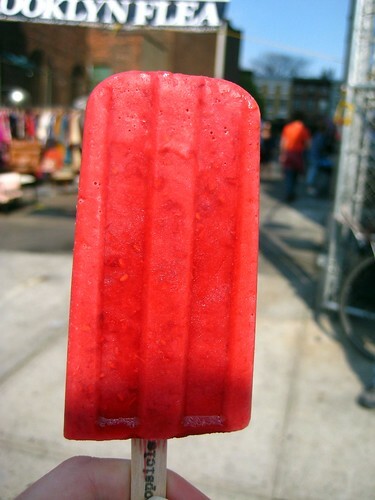 I wasn't there long enough to really check out much, but I did make the time to get a Raspberry & Cream from People's Pops. Did you know that their Chelsea Market shop is opening today? Now you do. And the raspberry and cream was the perfect hot spring afternoon treat. Though they're using frozen fruit, it tasted like everything good and holy that makes up summer. Chock full of seeds (I like this), sweet and tart from the berries, it melted down my hand in a thick trickle, and stained my mouth a beautiful shade of red. It won't be as hot out this weekend, but you should stop by anyway or better yet, their new shop!